Star Cruises - Cruising the high seas in effortless indulgence! With the gentle swaying of the sea that seems to lullaby its passengers, a timely cruise can bring a much-needed calmness, even to the weariest of travellers. Just imagine, spending days at sea in complete solitude, staring at the vastness of the open ocean with nary a thought of one’s daily troubles. Days full of exciting possibilities with nowhere to be, no one to see, and best of all, no distractions - a complete cruise-cation to celebrate life. In the past decade, cruises have become one of the most popular ways to relax and see the beauty this world has to offer. With its unique destinations, cost-efficient rates, and state-of-the-art ships, it comes as no surprise that cruising continues to gain popularity, especially among Filipinos. 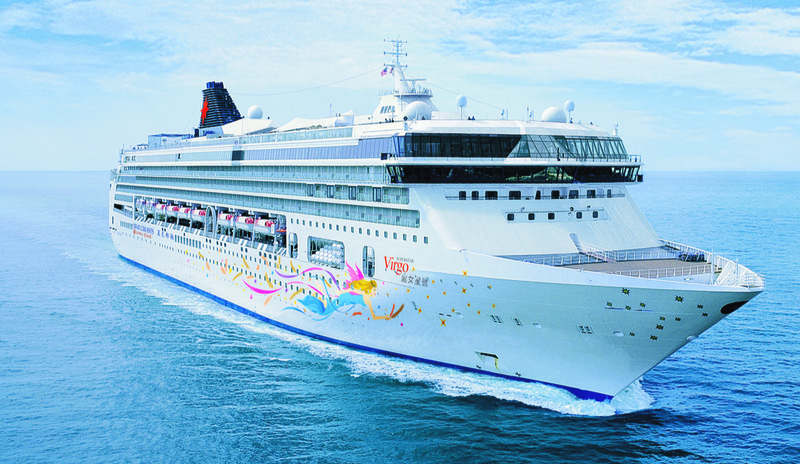 This year, Star Cruises announced that its 269-meter cruise ship, SuperStar Virgo, will homeport again in Manila for the summer months from March to May. With absolutely no visa requirements, the 6-night SuperStar Virgo cruise offers two travel destination packages. The first package will start at the Manila port then a day will be spent on the high seas. The next two days will be dedicated to seeing Naha in Japan, and Keelung in Taiwan. The fifth day will be on the high seas again, and then the cruise will head back to Manila on the sixth day. The second destination package starts at the Manila port followed by a day cruising the high seas on the way to Ishigaki, Japan, on the third day. The fourth day will be spent seeing the beauty of Keelung, Taiwan, then to the high seas on the fifth day, and then back to Manila on the sixth day. Besides the great destinations, and interesting land tours, a lot of people miss out on the fact that the SuperStar Virgo is itself, a giant floating destination. Packed with entertainment facilities, exquisite dining outlets, and duty-free shopping, the cruise ship has just about anything one could ever need or want. The nightly live performances on the SuperStar Virgo showcases some of the world’s best singers, acrobats, and magicians, set to tickle ones imagination. What’s more, the cruise offers various options and thematic activities fit for the whole family, not to mention, the wide range of dining outlets, retail shops, relaxation, and entertainment facilities. The huge pool and giant slide continues to be a top favourite of passengers. Imagine sliding and splashing in the pool on top of a cruise ship, right in the middle of the ocean. And what better way to enjoy an unobstructed view of the perfect sunset gracefully going down the horizon, then to see it on the viewing deck. Cruising offers the perfect vantage points to take photos of the endless sea complimented by the clear blue sky. It features an unspoiled canvass showcasing the breath-taking magnificence of nature’s beauty. Savor the various sights, sounds, and even the smell of crisp clean air over a cup of freshly brewed tea or coffee, while basking in sweet retreat, solitude, and surrender. Catch exclusive offers for the 3rd and 4th passenger for free, if booking is for the Inside State Room, Ocean View State Room, or the Balcony State Room on March 30, April 14, 19, and 24, and on May 4, 14, and 29, 2018. There is also a free balcony upgrade during the mid-season sailing. A 20% additional Senior Citizen discount will likewise be offered on April 14, 19, 24 and on May 4, 14, and 29, 2018. Avail of other special promos including the “Cruise One, Take One” two-for-one summer promo, a 2-night Manila high seas cruise, from February 14 to 18, 2018 at the 2018 Star Cruises Cruise Fair at the Greenbelt 5 Gallery, Ayala Center, Makati City. For inquiries, call (02) 8366080 or visit www.starcruises.com.